We provide comprehensive consulting services that help leading membership organisations and associations change, develop and grow. We highlight feedback from a selection of our recent membership organisation and association specific case studies to showcase how our unique, agile and forward thinking consultancy services are making a real impact and delivering positive/measurable member-focused outcomes. MemberWise delivered a two-day member engagement workshop for our communications committee. The training provided insight on how to take a more structured approach to member engagement and enabled the board to create/map proposed new member journeys that we hope will have a major impact on future member retention and recruitment. One participant commented ‘this is the most productive member workshop I have ever attended’. The MemberWise Network delivered a 2-day member engagement training course for our key member-facing team members (UK and International). The course provided our staff with a deeper insight into member engagement, member value, member journeys and helped us to establish change/new activity for the years ahead. I would recommend the course to associations looking to improve new member acquisition, member retention and enhanced member engagement. MemberWise Founder, Richard Gott, headed up the Membership Development function at the Royal College of General Practitioners (RCGP) for over 3 years. He was responsible for the leadership of the membership services team, member initiatives team and contact centre, and the management of CRM. Richard was instrumental in increasing the membership by 20% in just 3 years (from 40,000 to 50,000 members), creating/delivering a segmented membership strategy/plan, member engagement plan and centralising the organisation’s approach to online and offline member contact/services. He created RCGP Plus (an initiative generating non-subscription fee income) and created commercial partnerships generating £100k+ pa. The MemberWise Network presented a thought provoking session at the first HFMA Branches Conference – bringing together all 13 of our branches. The network’s insight into the membership sector resonated with the audience; clearly demonstrating a deep knowledge and understanding of the issues faced by regional branches and the sector as a whole. MemberWise gave a stimulating presentation containing ‘real’ examples, past experience, case studies and practical solutions. The session really inspired the group and helped to set the tone of the rest of the day. The MemberWise Network facilitated our all-staff away day, which focused on ECU’s move to a subscription model next year. We were grateful for the support the network gave in developing the agenda and facilitating this important day for us. The MemberWise Network chaired and facilitated a 2-day workshop with the 19-strong IHA Board. MemberWise led a mixture of formal and informal sessions that enabled Board Members from across the globe to share opinion/insight on key member focused activities (including professional services, national congress and membership proposition) and reach consensus on a range of topic areas. The network spent a day preparing for the event with the IHA Senior Management team and the feedback from board members was positive. The output from the event was clear strategy focused actions (linked to core activities) that will help the organisation to increase member value, engagement and growth. MemberWise prepared and delivered our annual Representatives’ Residential event. The event incorporated interactive workshops that focused on the evaluation and enhancement of member engagement/member benefits, effective segmentation/personalisation and future optimisation of the organisation’s member value proposition (MVP). We requested an energetic positive member outcome focused day and that is just what we received. Delegates were highly engaged throughout the day and all learning outcomes were fully delivered. I would highly recommend this service and we look forward to working with the network in the near future. The MemberWise Network played a key role in our recent Member Engagement focused away day. Content included a session dedicated to what member engagement is, the membership lifecycle, how engagement is impact on internal/external factors, how to convert passive members into true advocates and what ‘good’ looks like from other leading UK membership organisations and associations. The society derived great value from the day and would recommend this great outreach service provided by the MemberWise Network. The MemberWise Network delivered a member engagement & value workshop for our Trustee Board. The session enabled a member-focused review of our current offering, generated ideas for the future and enabled us to create clear action points to drive future member recruitment, retention, value, engagement and growth. The MemberWise Network co-facilitated our annual staff away day. He delivered targeted content that helped us to focus clearly on our CRM journey, contextualised how membership organisations’ need to evolve in order to meet changing current/future needs and provided practical (and actionable) recommendations for the future. He also delivered a dedicated session on the creation and quality assurance of key member personas that will enable us to take an informed/structured approach to online/offline member personalisation and engagement. We’re always pleased that the MemberWise Network plays a key role in our annual customer conference. The network regularly presents on a range of practical topics including membership scheme best practice and optimising member engagement. Our customers gain a lot of insight from Richard, which is always great to see and hear. Silverbear are a strong advocate of the Memberwise Network. Richard’s role in the membership and association sector is one of the leading key influencers and thought leaders, offering invaluable insight to the sector as a whole. The Royal Academy of Dance (RAD) recently commissioned an independent review of its newly introduced CPD scheme in order to assess the appropriateness of its structure, content, processes and the positive outcomes it was delivering to both national and international members. The Academy looked at several potential providers but chose MemberWise because the network’s proposed approach was different. It was fresh, innovative and focused on bringing about positive action and change. They were not disappointed with their decision. The MemberWise Network’s approach to the review was very thorough and sensitively handled, putting interviewees at ease and taking into account the confidential requirements of their work. Unique sector insight provided by the network further quality assured the recommendations. The resulting report was targeted, insightful and comprehensive enabling the Academy to begin to develop a clear action plan to ensure the scheme is not only sustainable but that it exceeds members’ expectations in the value it delivers. The Academy would completely recommend this service to fellow associations and membership organisations. 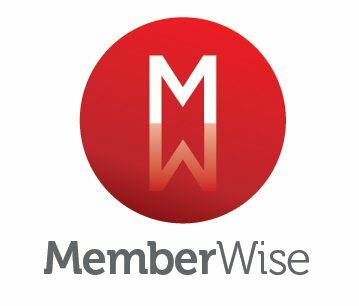 In 2016 the MemberWise Network transformed the relationship management function (a 14-strong team responsible for enhancing local member engagement/relationships with over 160,000 solicitors in England in Wales) at the Law Society. We implemented a 3-tier management structure, undertook significant team member changes/recruitment, implemented a CRM focused approach and enhanced member engagement/experiences within key membership/stakeholder segments. The project was delivered on time, to budget and will ensure the society delivers optimised member engagement at a local level now and in the future. I placed Richard from MemberWise as Interim Director of Membership Relations at the Royal College of Psychiatrists. He held this position for over a year and a half. During his placement Richard was able to be both strategic and operational in the role. He led a department of 30+ staff, conducted a formal regional review, and working with the CEO created and consulted on the College’s 3 year strategy/operational plan.